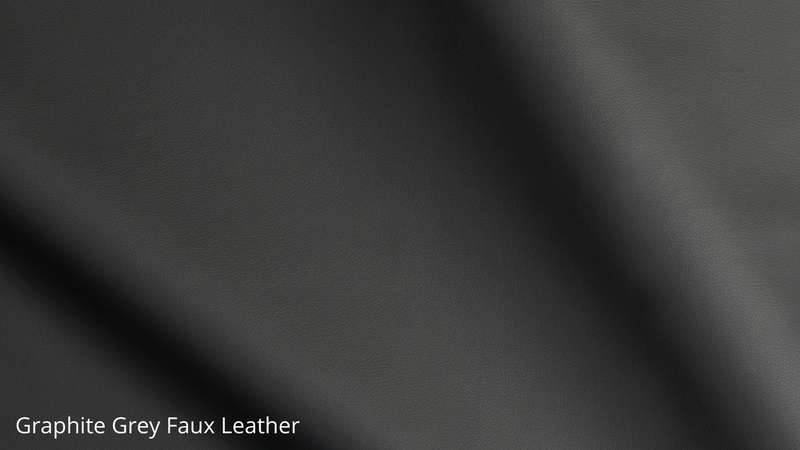 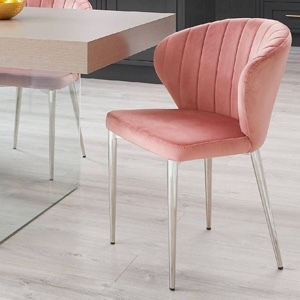 If you are looking for an elegant and beautifully wrapped faux leather seat, you can't go wrong with our gorgeous Santo Stackable Faux Leather Dining Chair. 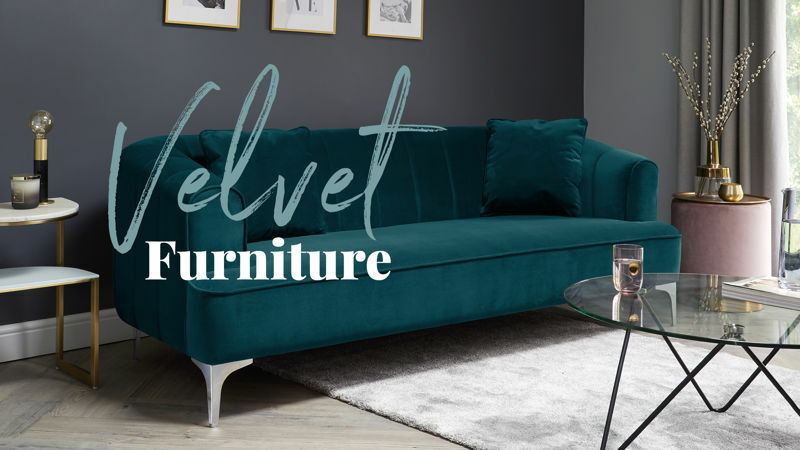 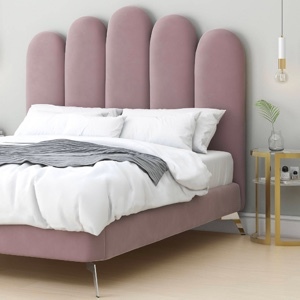 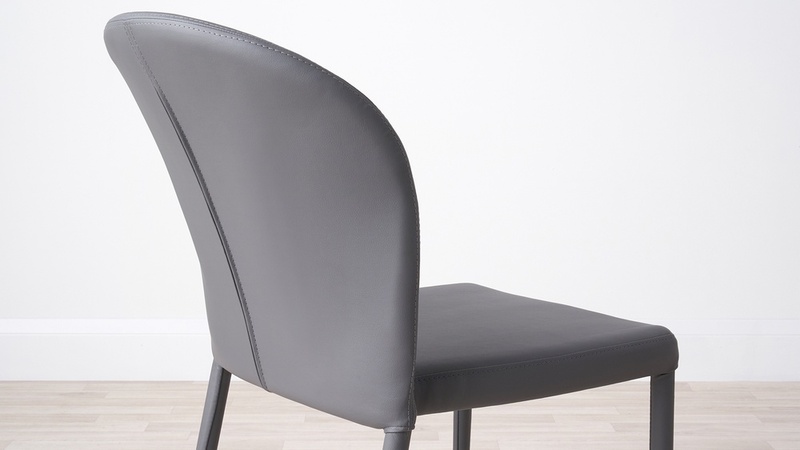 With its curvaceous shape and being fully upholstered, this chair has real designer looks alongside a feeling of luxury, just without the expensive price tag. 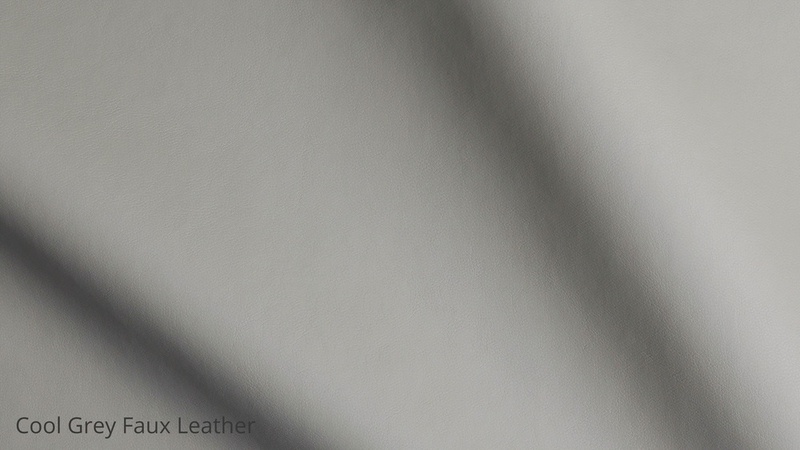 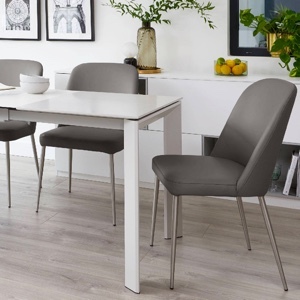 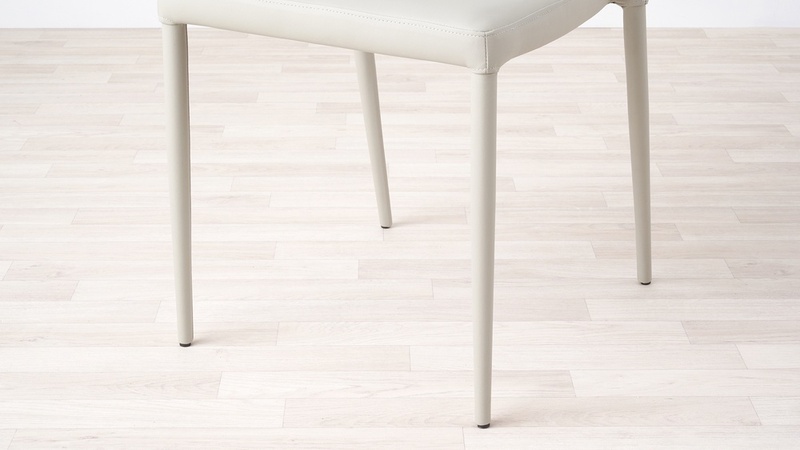 The Santo Stackable Faux Leather Dining Chair is available in muted tones of white, cool grey, graphite grey and black. 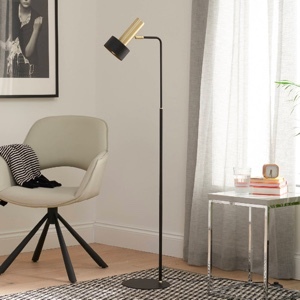 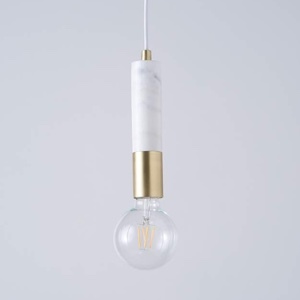 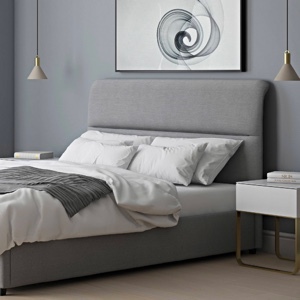 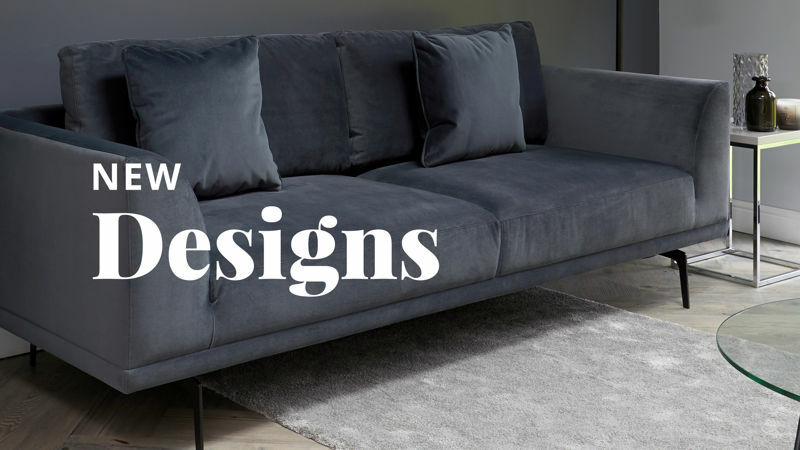 More subtle shades are great for enhancing existing colours you may already have in your interior, or if you want to create a neat and streamlined look to your home. 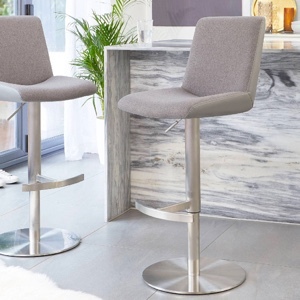 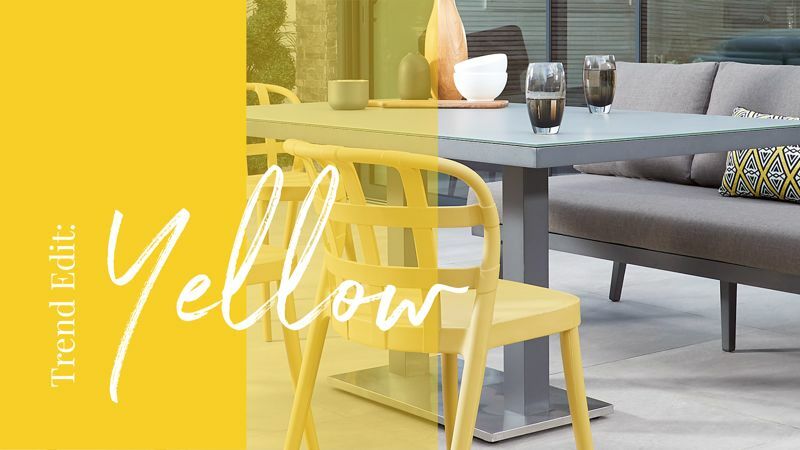 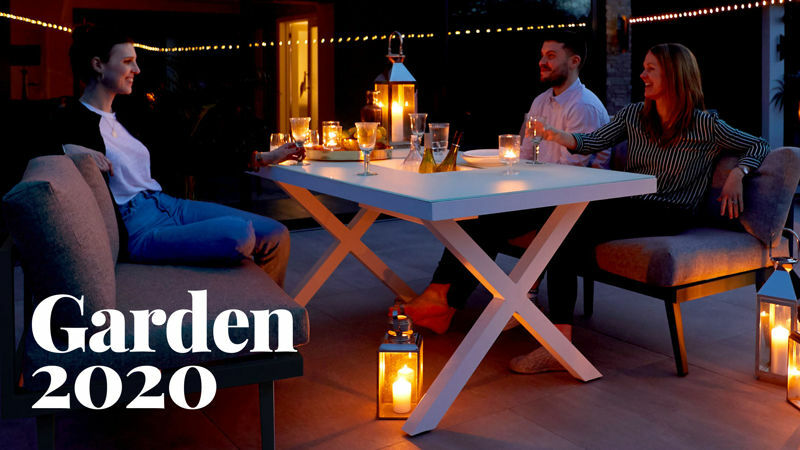 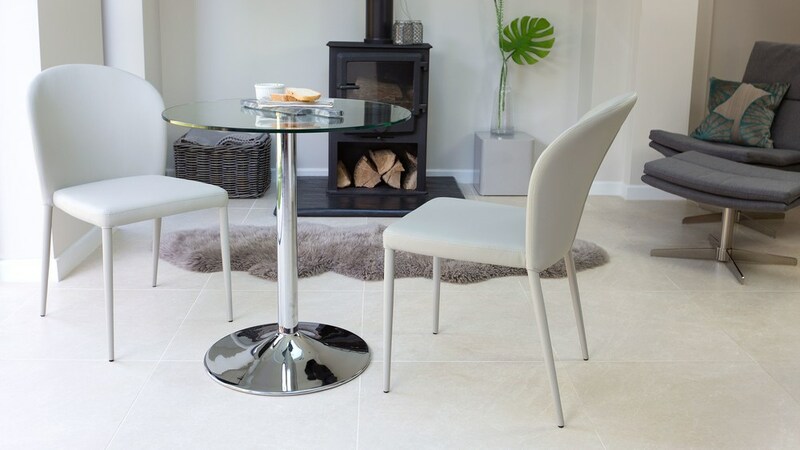 Made from our hardwearing PU, the Santo chair has an upholstered seat and legs which takes away the hassle of trying to match metal chair legs with other finishes in your kitchen or dining room. 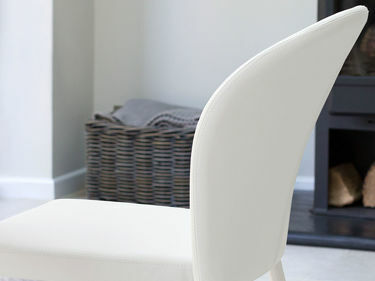 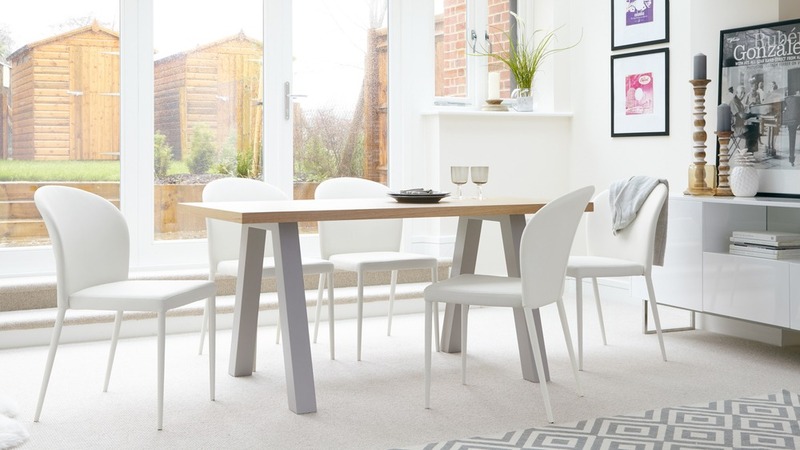 The lovely sculptural curved back of the Santo chair adds to the comfort of the seat, while also keeping the chairs looking soft, spacious and welcoming when placed around your dining table. 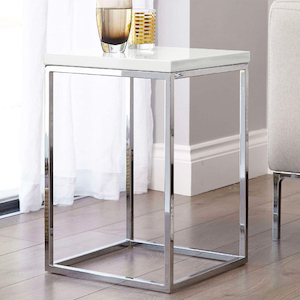 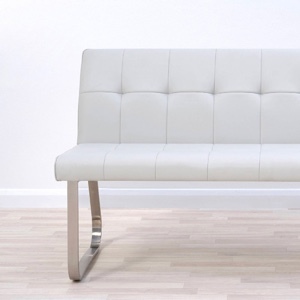 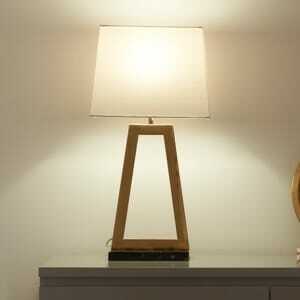 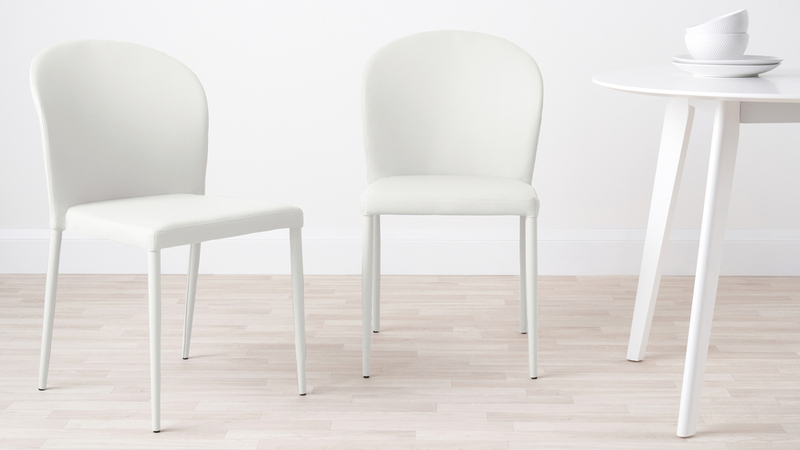 This design blends its elegant look with the added function of being a stackable seat. 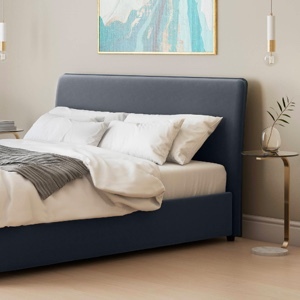 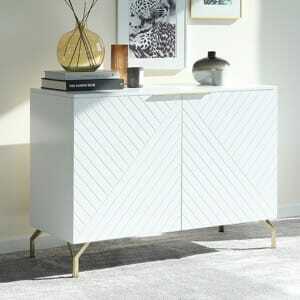 This makes it a perfect choice for storing away when not needed, without having to compromise on its sleek and streamlined look. 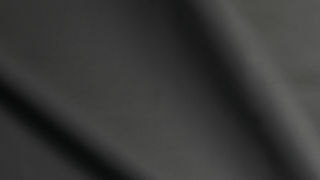 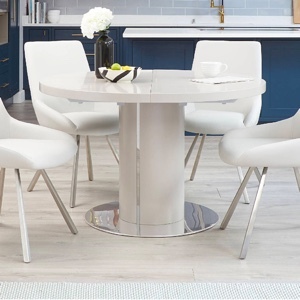 The clean simple shape of the Santo Stackable Faux Leather Dining Chair would make an excellent pairing with the Curva Dining Table which is available in a selection of finishes, or the Naro Round Glass 4 Seater Table as the gentle curves of the chair would be echoed through the smooth curves of the table top. 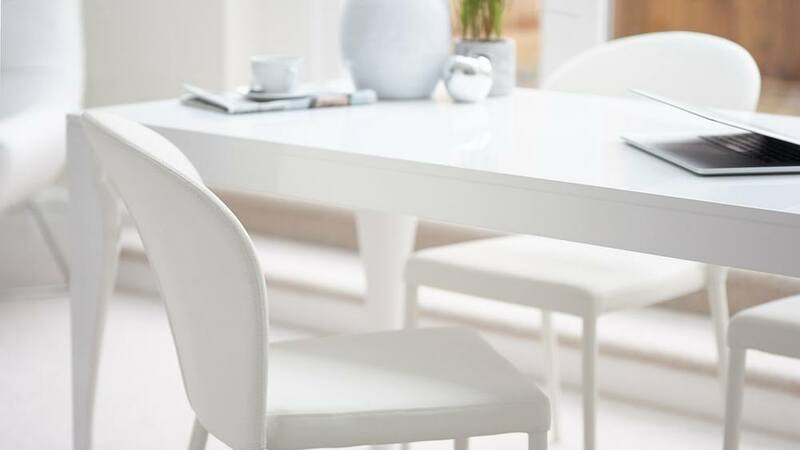 If you are looking for a more solid rectangular dining table, this chair would also look effortlessly good with the Sanza White Gloss Extending Dining Table. 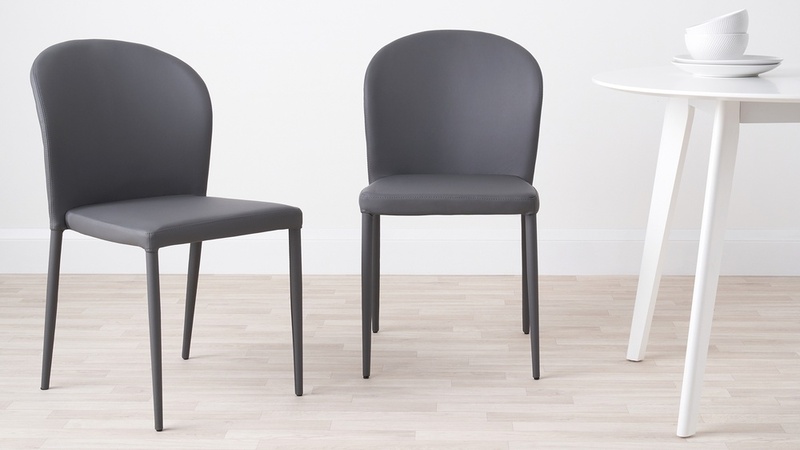 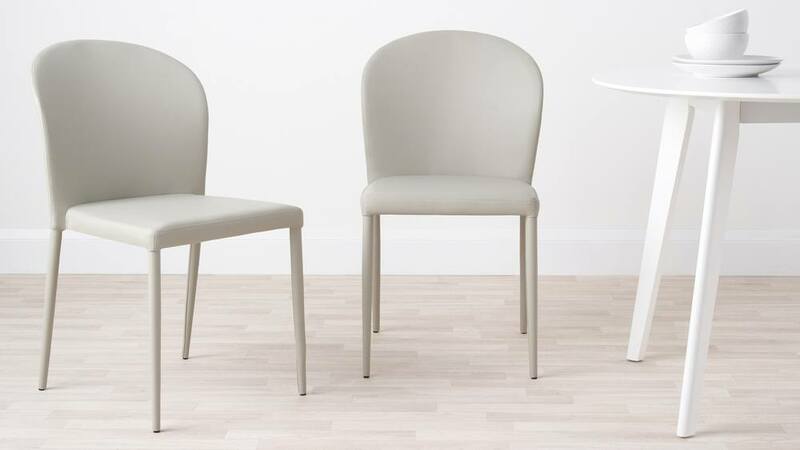 The stand out feature for the Santo dining chair has to be the designer appearance of its sculptural curved back. 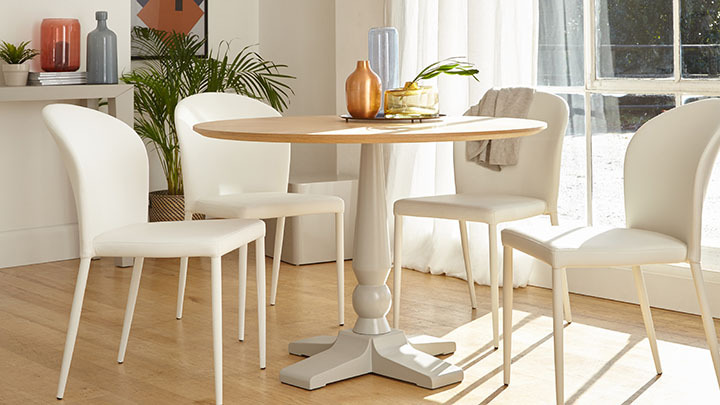 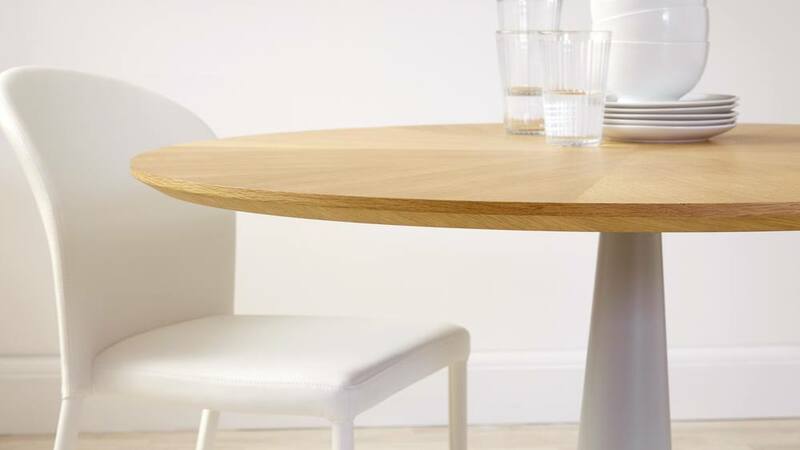 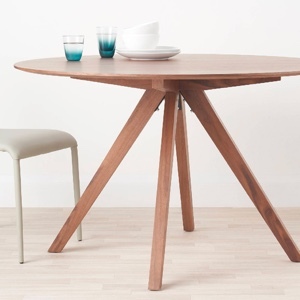 A stylish alternative to a more traditional squared back, the smooth, soft curves of the Santo make it an excellent pairing with a range of circular dining tables, as the curves of the chair are beautifully channeled right through to the shape of the table. 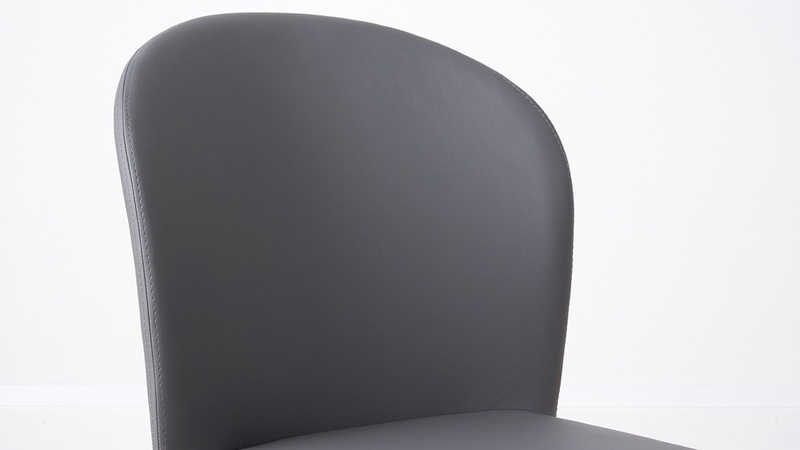 This design also allows for optimum comfort and support when seated, as the back of the chair gently curves around your back. 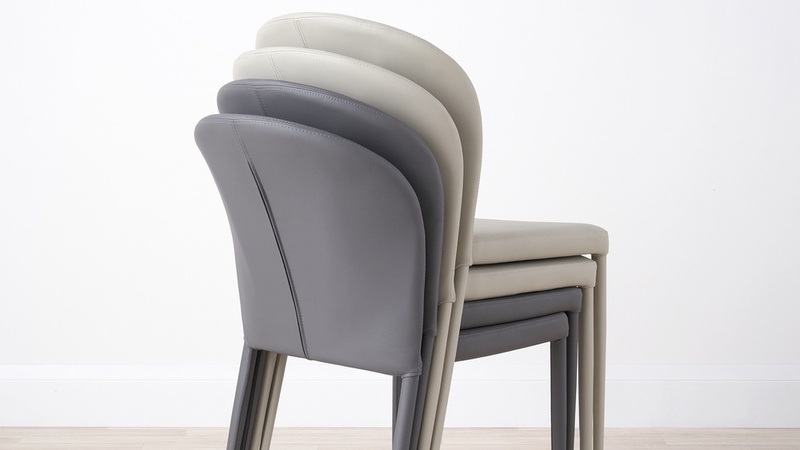 It also allows for the seats to easily stack on top of one another, meaning they can easily be stored away when they’re not in use.